Welcome to our guide for Mexico. Should you be looking to travel, live, relocate or do business in Mexico, we will give you a helpful head start on understanding the country and its culture. Mexico, officially the United Mexican States, is located in the southern part of North America. It is comprised thirty-one states and a Federal District, Mexico City, which is its largest and most populous city. It shares borders with the USA to the north and Guatemala and Belize to the southeast, and is surrounded by the Pacific Ocean, Caribbean Sea and the Gulf of Mexico. Climate: Mexico has a diverse range of climates from warm and humid in the south to dry in the north. Temperatures are generally warm, and the coasts can be affected by hurricanes during the autumn and summer. Mexican culture is profoundly shaped by its varied history, the country having been home to the Aztecs before its colonisation by Spain over a three hundred year period, starting in the early 16th century. The miscegenation of these Amerindian groups with Europeans (mainly Spanish) has led to almost sixty percent of the population being mestizo, the term used to refer to this mixed heritage throughout Latin America. Modern day clothing is largely similar in style to that found in Western Europe and the United States. Traditional items of clothing include the now internationally found poncho and sombrero, as well as charros, a low-cut sturdy boot, and the huipil, a colourful tunic traditionally worn by indigenous women. When at work, it recommendable to dress formally, observing standard Western business attire for both men and women. Remain conservative, and keep clothes classic and muted (grey, navy suit and white or light blue shirts for men; blouse and knee-length skirt or a dress for women). A white shirt is particularly advisable when making a first impression or attending an interview. Women are also expected to wear makeup and have their hair styled at work, generally more obviously than in the United Kingdom. Mexico is home to the largest number of Spanish speakers in the world, and Spanish is the de facto national language. As a nod to its diverse history, 62 indigenous Amerindian languages are recognised as national languages. Spanish is generally thought of as being one of the easier languages to learn. It is a phonetic language, meaning the way it is written is the way it is pronounced. Spanish is written in Latin script and has an alphabet of 27 letters – ñ is the additional letter. K & W are letters in the alphabet, however these are only used in loanwords taken from other languages, such as karate, kilo, waterpolo etc. Capital letters are not used as often in Spanish as they are in English, only people and place names are capitalised, as well as names of companies and government bodies. Names of nationalities (e.g. “mexicano), or languages (e.g. español) are not capitalised, nor are days of the week and months of the year. Mexicans are largely sociable, friendly and warm, and expect a minimum of a handshake when meeting. Two women may kiss on one cheek, and two men may hug instead in social settings. About an arm’s distance of personal space is respected, but do not be alarmed by an affectionate touch on the shoulder or arm during conversation, as this indicates a relationship has been established, and can be reciprocated in kind. When working in a business setting, a handshake at the beginning and conclusion of a meeting will suffice. 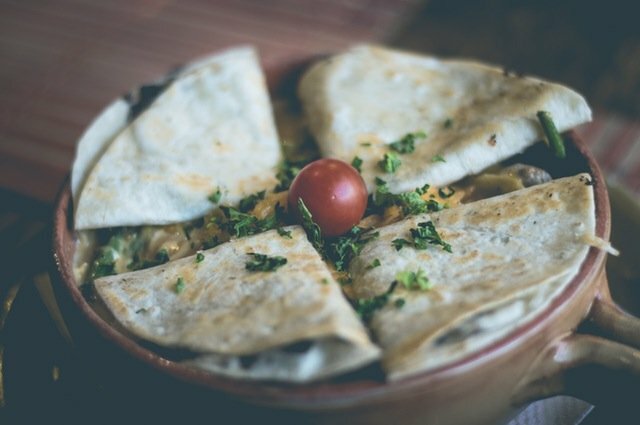 The most positive interactions with Mexicans may come from discussions about their family and friends, so do not be afraid to ask about where they come from, what the typical food is there, what are the places of interest and so on, and be able to offer the same about your family and background. Offer compliments about the weather, food and the people you have met, as well as what you plan on doing during your time in their country. Do not be surprised if they talk openly and frankly about emotions, family and personal issues. Mexicans do not tend to speak so much with their hands as may be seen in Spain or Italy, and do not tend to make much eye contact – this is a sign of respect. Although there is no state religion in Mexico, almost 90% of the population is Catholic, and 5% are Protestant. 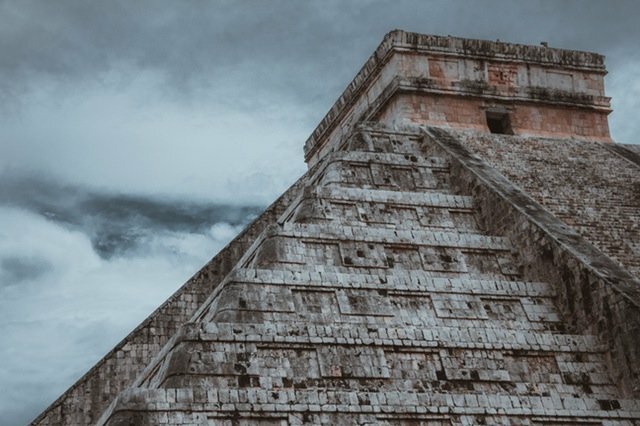 Even though your aim may be to create a successful business relationship, Mexicans base a lot of their decisions on you as a person: do they feel they can trust you, do you have a good enough reputation, have you shown them the necessary care and attention? Be smartly dressed, sociable and willing to ask questions about their family, hobbies and home town. Inviting a potential client for breakfast, lunch or coffee, in which you discuss the above topics will lay a good foundation upon which to build a successful working relationship. You may do this at your hotel, or you may even be invited to someone’s home. In the first case, arrange to have the cost added to your bill, indeed, always make sure to pay for the client. Try to make appointments between 10am and 1pm, or late afternoon if this is not feasible. Breakfast meetings can take around two hours, from 8am, and lunches can be even longer, and business may only be discussed during a small portion of this time. This is in order to develop a relationship on a personal level, which, if positive, should lead to a successful professional partnership. During meetings, mention if you can the relationships and success you have already had with people the client knows and have a high opinion of, as Mexicans place a high value on a person’s perceived status and reputation. If you can, have a business contact make any necessary introductions, acting almost as sponsor. Should your first few meetings with a client go well, and you are able to demonstrate the mutually beneficial success you have had with them, this will give you cachet when dealing with future clients. If you are meeting with a Mexican man, he may act in a very familiar and tactile way, and to withdraw from this or step back may be perceived as insulting and rude. Giving gifts is recommendable, particularly if invited to someone’s home, so bring sweets, items from your country, or arrange for flowers to be delivered in advance of our visit. A small gift bearing your company’s logo would also be appreciated. Avoid using someone’s first name until invited to do so, start by using their title and first surname – Mexicans use two surnames, the first coming from the father, and the second from the mother, e.g. Garcia Robles. Use titles such as Licenciado/a, Arquitecto, Ingenero, Maestro/a, Doctor/a, Señora and the first surname, and bear in mind that employers may prefer to always be called in this more formal manner. If they have no title, call them Señor/a and their first surname. Similarly, if speaking Spanish, make sure to use the formal usted term of address, unless invited otherwise. Mexicans appreciate leaders who are not afraid to set a strong example and lead from the front, directing projects diligently and assigning tasks to keep them busy. Educational achievement is valued highly (as described above by the preference for using someone’s professional title, e.g. Arquitecto Juan) and usually above previous professional experience. The professional hierarchy is highly respected, and you may find that if you are promoted ahead of colleagues who were on the same level as you, they will recognise the change in dynamic now that you are above them, and will expect you to act accordingly. This may be particularly apparent when you wish to propose changes to the organisation – these decisions normally come from the person highest up the hierarchy (usually the owner of the company) and even if you desperately wish to make a change, wait until asked. This being said, personal relationships are still just as important in a working environment as they are in wider Mexican society, so you may be more likely to win more battles by being personable and developing respectful relations with colleagues, than by laying down the law and rigidly focussing on your superior position in the hierarchy. This will also help engage workers, who feel loyal to their company, boss and fellow colleagues, and if you develop a reputation as a well-liked, sociable yet firm member of the organisation, this will stand you in good stead when developing new business relations in future. Bear in mind that you may not necessarily know how your management style is being received, but if you have doubts you could suggest a direct group discussion focused on certain areas in order to gauge the mood of the office. As a result of the strong focus on the family and community, Mexicans accept reasons like family lunches and having to pick up children from school as justification enough to be absent or to leave early. Your employees may therefore appreciate a certain flexibility in their working hours to accommodate this. If you have problems with a colleague, try to address this in a neutral setting with your supervisor to moderate discussions. Bear in mind that it is difficult to fire someone in Mexico, and a more common strategy to deal with troublesome or superfluous staff is to move them into a less important role. Ensure that you and all members of your family have up-to-date passports and the necessary visa documentation for living (and working where appropriate) in Mexico. These can be obtained from your local Mexican Consulate, and your employer may be able to help. If you are working in Mexico you will need to be registered with the Instituto Mexicano de Seguro Social, IMSS, the Mexican social security system. Most of the larger employers provide health insurance, but private plans can be obtained from companies such as DVK, Monterrey and Royal & Sun Alliance. If you wish to be seen by an English-speaking doctor, consult your local embassy in Mexico. The middle-class in Mexico enjoy a good quality of life, and having a maid and a driver is common. Be sure to research the area you are moving to first, looking for the closest hospitals, clinics, schools and shops. If you’re conducting business or looking to relocate to Mexico you may need help with legal translation or certified translations from an experienced Spanish translator. Contact us today to discover more and request a quote.